It seems as though pet sensitivities and allergies to food are more common than not these days. As a Mom of not one, but two dogs who have these issues, I can tell you that finding the right food can often be a challenge. And once you find that one, daring to switch formulas - even within the same brand - can sometimes be like playing roulette. This is one of the reasons I was so excited to learn about AvoDerm® Natural Pet Food and their new Revolving Menu line. 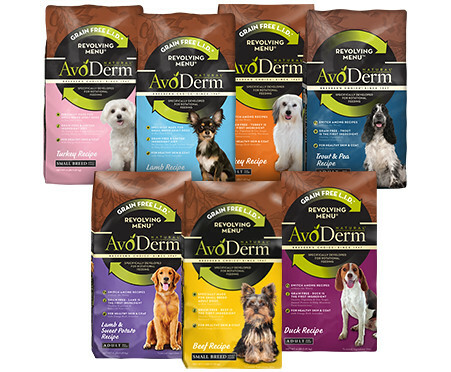 AvoDerm premium dog food is grain free, gluten free, LID (limited ingredient diet), and Made in the USA. The formulas are loaded with high quality meat proteins, wholesome grains, antioxidant nutrients plus vitamins and minerals for inside health, and California avocados for healthy skin and coat on the outside. Yes, that's right, AvoDerm is made with avocados. Perhaps you're wondering why, but the better question would be, why not? 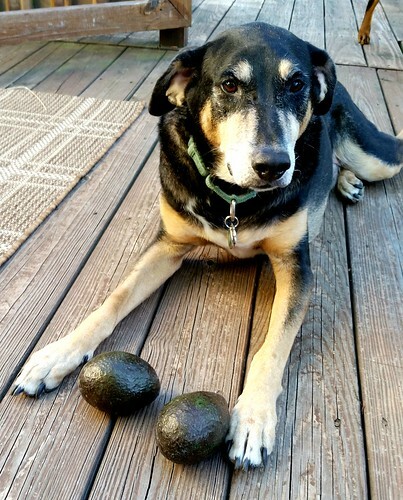 Why Avocado in My Dog's Food? 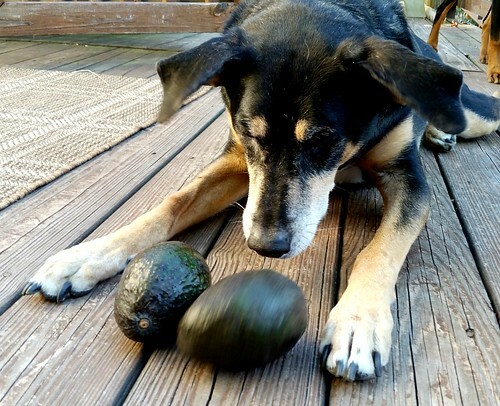 If you're wondering about the safety of avocado in your dog's food, rest assured. The avocado meal and oil used in AvoDerm comes from the meat of the fruit and does not contain bark, leaves, skin or the pit. The oil is extracted from ripened fruit in which the meat pulp has been separated from the skin and pit. Then, through a mechanical process, the oil is extracted, filtered and placed into sealed containers. The fruit pulp is dried, ground, and screened before being placed into its final packaging and shipped to the AvoDerm facility. And, AvoDerm uses only California avocados. While pet parents have been happily feeding AvoDerm's many formulas to their puppies and dogs over the years, a new rotational diet has now been created to further aid in avoiding food sensitivities, especially when switching your dog's protein. After all, just as we humans like variety in our diet, so do our dogs! That's why AvoDerm created the new Revolving Menu line. The recipes have been specifically formulated for the option of rotational feeding, so pet parents can feel confident giving their dogs "variety." All of the formulas provide healthy balanced nutrition, with the base ingredients remaining the same while the proteins switch. Plus, Revolving Menu is specially formulated to avoid stomach and digestive upset when switching between the proteins. With AvoDerm Revolving Menu, your dog can have chicken tonight, trout tomorrow! There are currently four regular and three small breed dry recipes available, as well as three canned recipes. Now, Fido has options at dinner time! 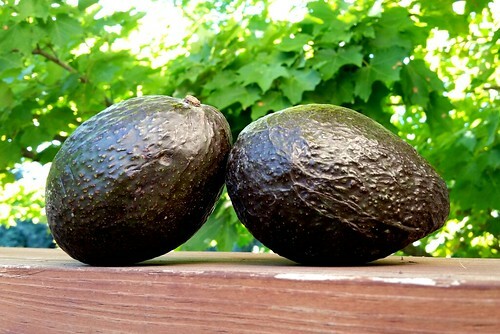 Teutul will soon be experiencing a six week trial of AvoDerm. I hope to not only see a healthier, shinier, smoother skin and coat on my boy, but to also keep his food sensitivities under control. Stay tuned, as we will be sharing our experience with you. If you'd like to jump on the six week trial with us, you can find a local store near you or purchase it online (scroll down the page to see the online store links). If you sign up for their newsletter, you will receive a coupon for $5 off! I hope it works for King Tut! Jeff had a little trouble getting Tank acclimated to a food that wouldn't cause him problems. Instead of feeding Tank the dog food I bought for Natasha and Tank, Jeff has to haul around his own kibble plus wet dog food - but we can give Tank table scrap, and he is a happy boy when he's fed! Great post. I'd heard of Avo Derm, but that's all until now. Good luck on the diet. Our dogs eat raw and I rotate their proteins every three to four days and they're doing very well. I didn't realize that I could do this on a dry food diet until I met someone who does the same as I do, but with dry. It'll be interesting to follow how your rotation goes - how often, what options are available, and how our dog does on the new food. Great review! Sounds like a good food!